Tony returned from Korea to Hong Kong today. 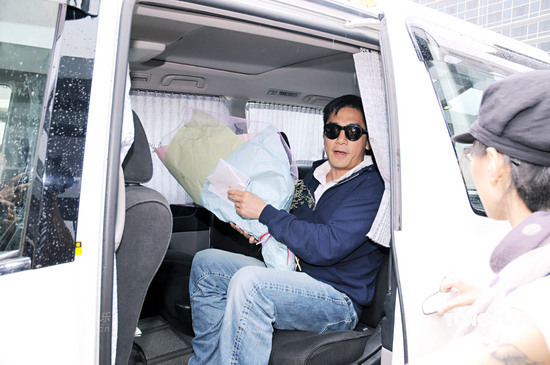 He was in good mood and received a bouquet from fans. When asked what is Carina's gift to him, Tony said he didn't know as he hadn't returned home. He said he wouldn't have specific celebration, but fans already celebrated with him in Korea earlier. When asked if he will take leave to prepare his wedding, "you believe in gossips?" he said.